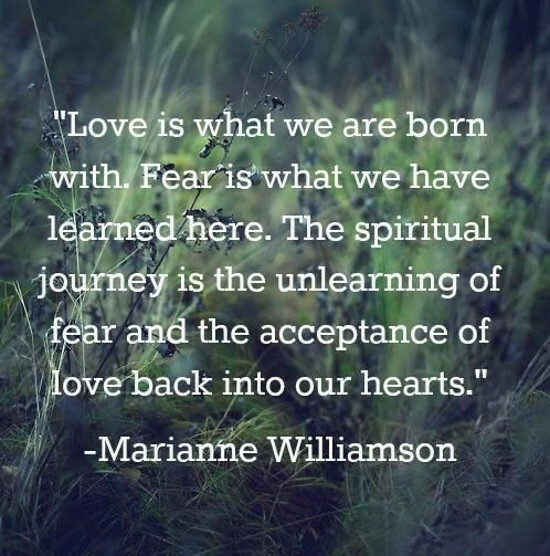 We are not born with fear. That is something that has to be learned. We are taught to be afraid by circumstances, by people, by false belief. We are born with love, with trust, and with the desire to reach out, the desire to embrace and be embraced. We want to love and be loved because that is our natural state. Why have we chosen to create a state that is not an improvement upon our nature? Wouldn't it be better to embrace what makes us whole?